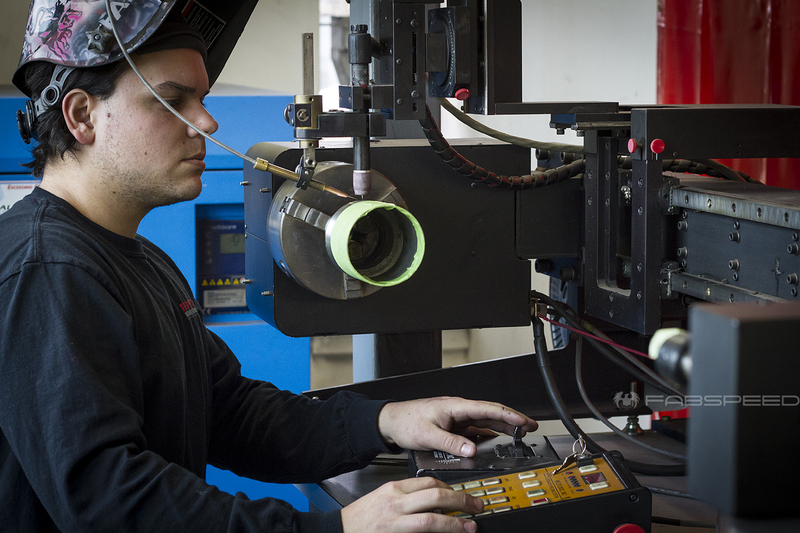 Within our 26,000sqft manufacturing facility and showroom is a full precision machine shop. This allows us to quickly move from concept to completion. 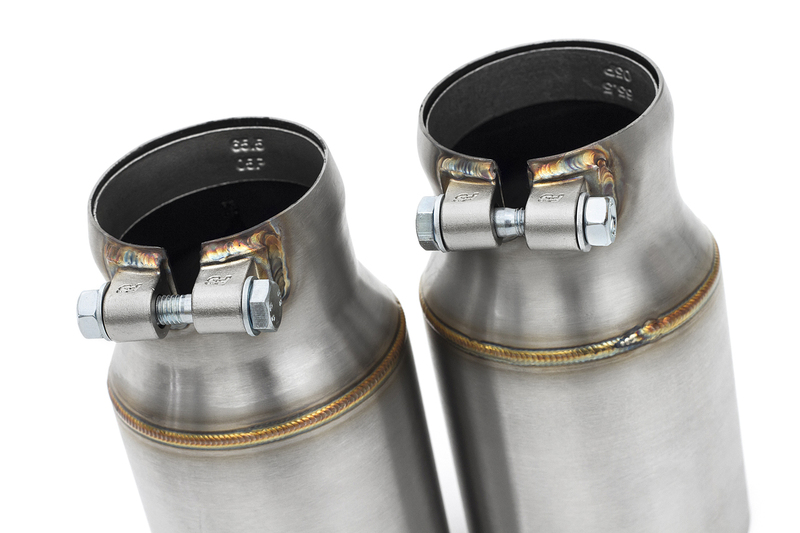 In an effort to continuously expand upon our personalized performance offerings, we've crafted unique, hand made single-wall stainless steel tips to finish off our premium exhaust systems. 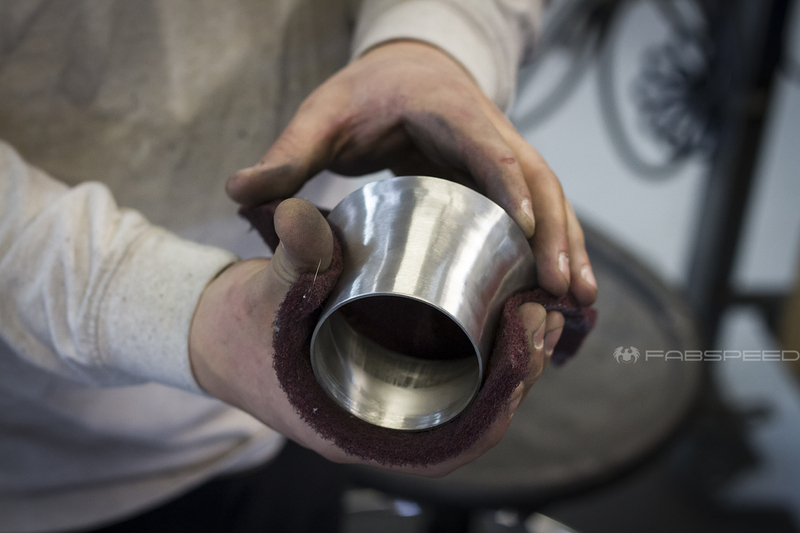 In this blog post we'll cover how we made a set to pair with our customer's GT4 Valvetronic Exhaust System. 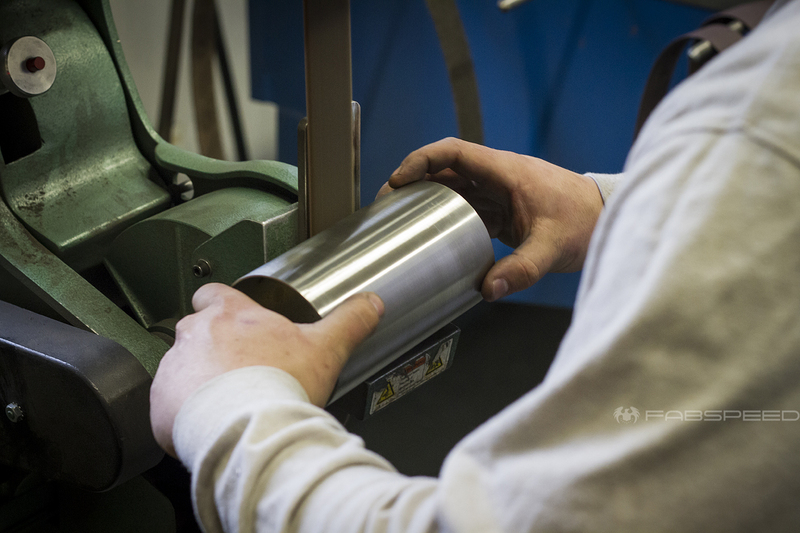 The process begins with cutting sections of 2.5” T304L stainless steel tubing. These sections will eventually become the tip inlets. 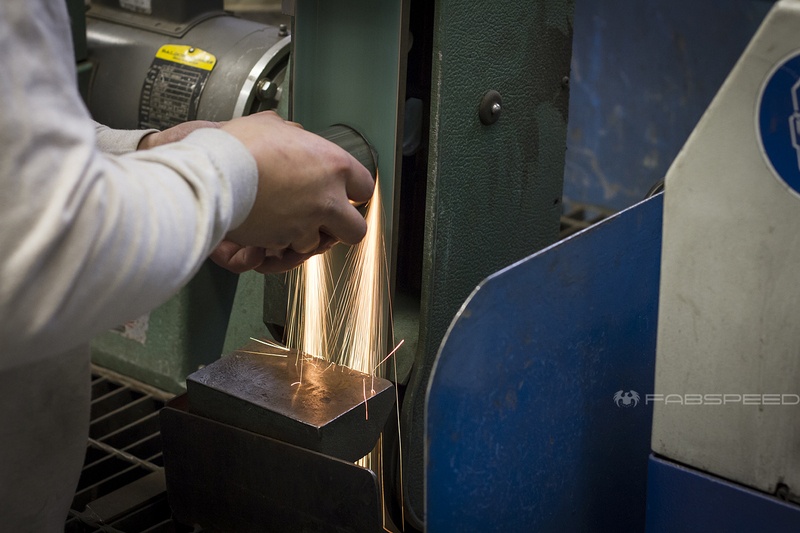 After cutting, we then smooth the tubing sections to remove any burrs or imperfections. 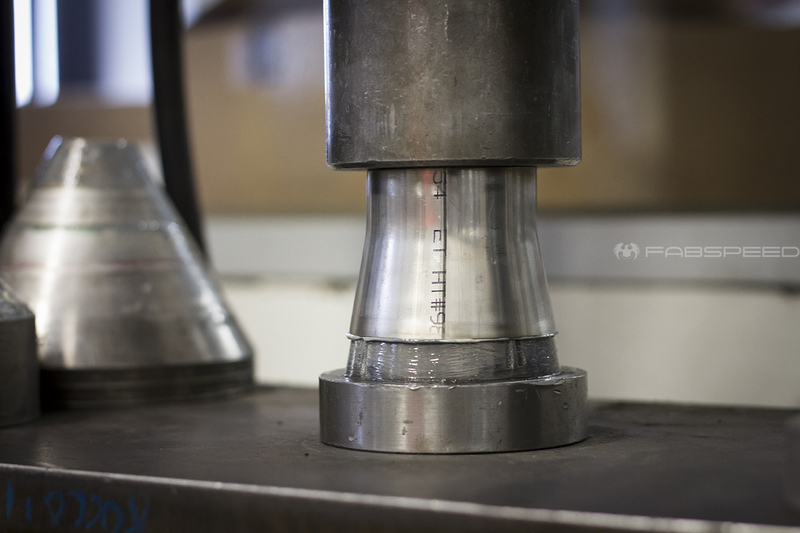 Once the inlet sections are smooth, they need to be flared out to mate up to the 4” tips. We achieve this by using a hydraulic press and a series of dies. 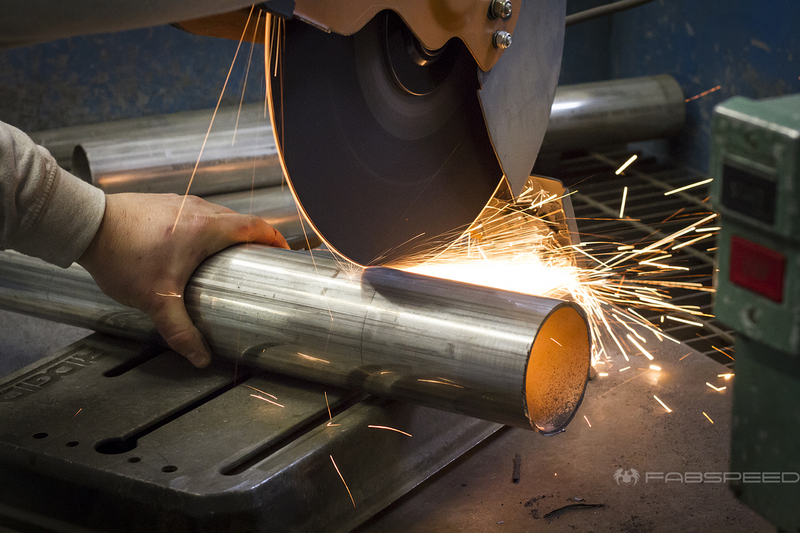 Next, we cut the sections of 4” tubing that will ultimately become the actual tips. 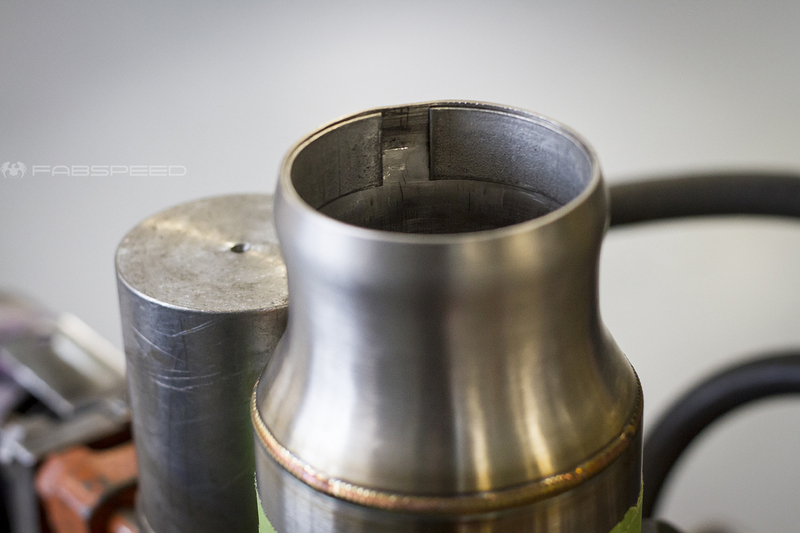 As with the inlets, we smooth and de-burr this tubing before moving on. 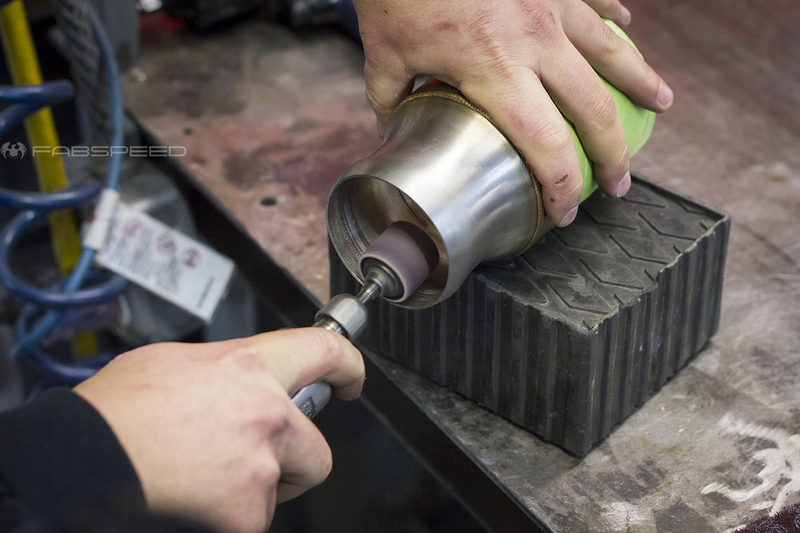 Once the tips are de-burred, we run them on a belt sander to apply a beautiful brushed finish to the outside. 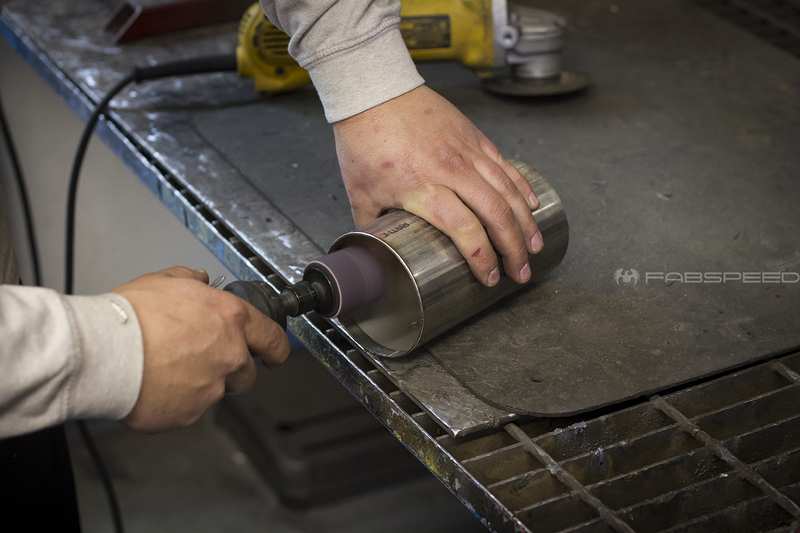 This brushed finish is smoothed and made consistent by hand using an abrasive pad. 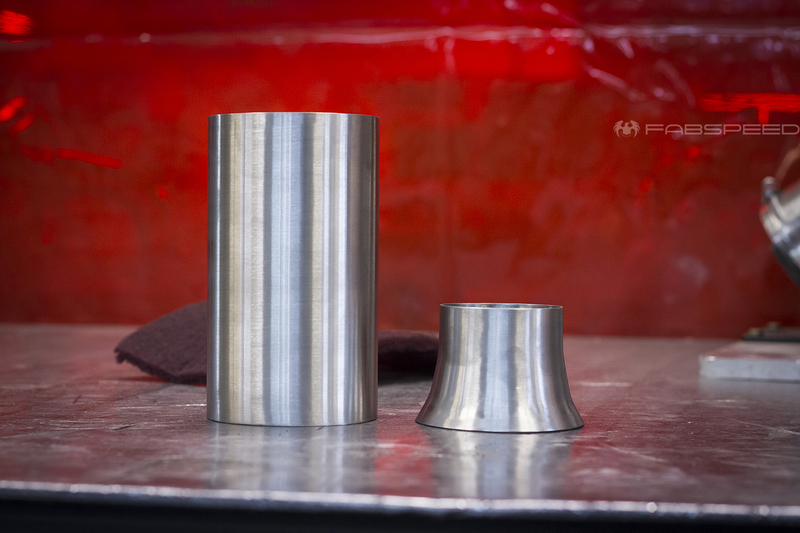 Tip and tip inlet ready to move on to the welding and final fabrication stages! 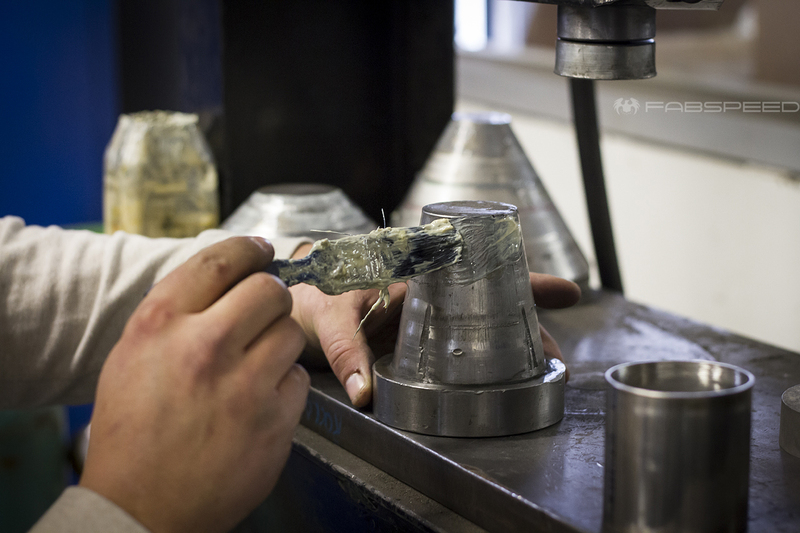 After prepping the tip barrels and inlet sections, we tack weld the sections together in order to lock them in place for the orbital welding lathe. 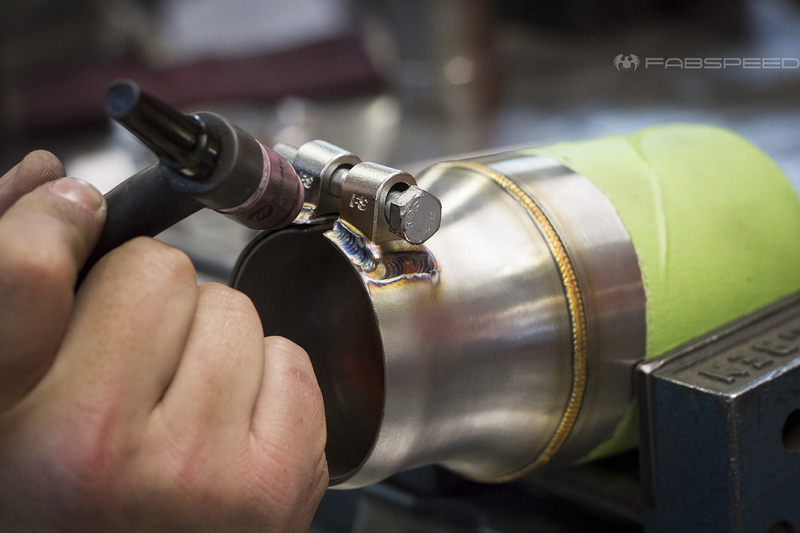 The tacked tip assembly is mounted on the welding lathe and the torch is calibrated and moved into position. 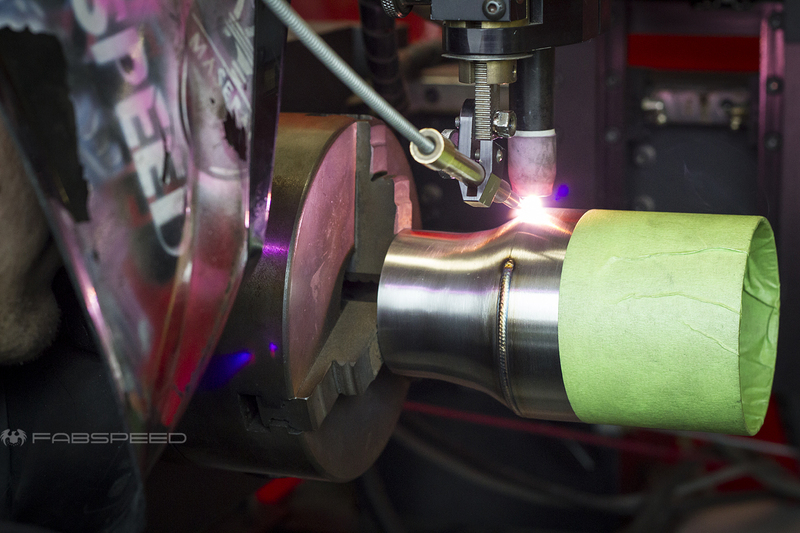 Once welding is complete, the inlet is then expanded to accommodate a clamping tip ring. 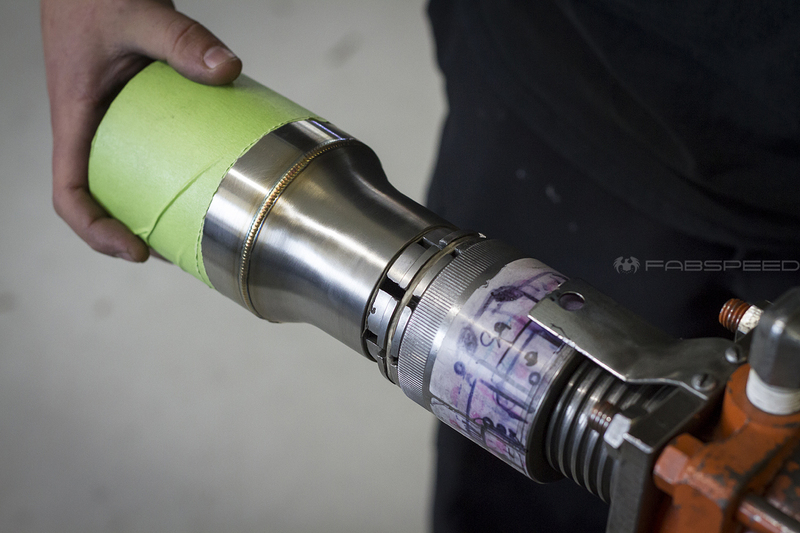 The expanded inlet is checked against a die for perfect fitment, and the clamp ring is set into place. 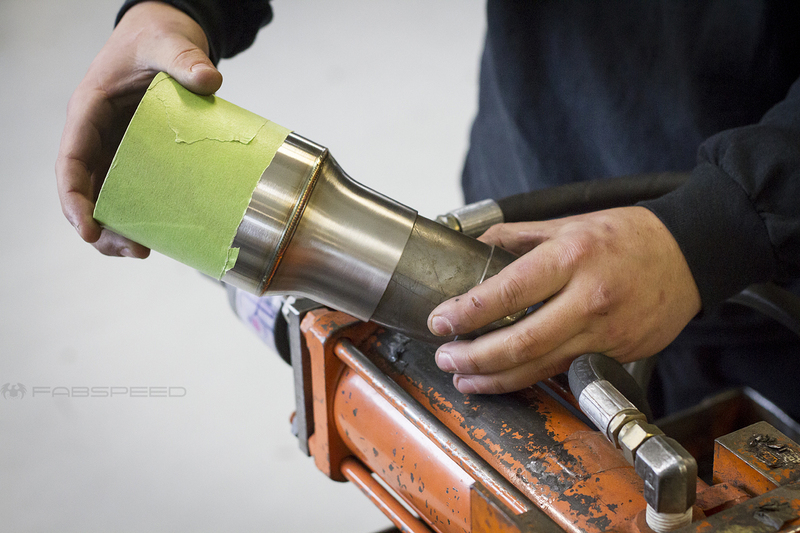 With the fitment confirmed, it’s over the “Nibbler” to cut out the notches that will allow the tips to tighten in place on the exhaust outlets. The notches are cleaned up and de-burred in preparation for welding. Clamp hardware tabs are lined up and tack welded in place. 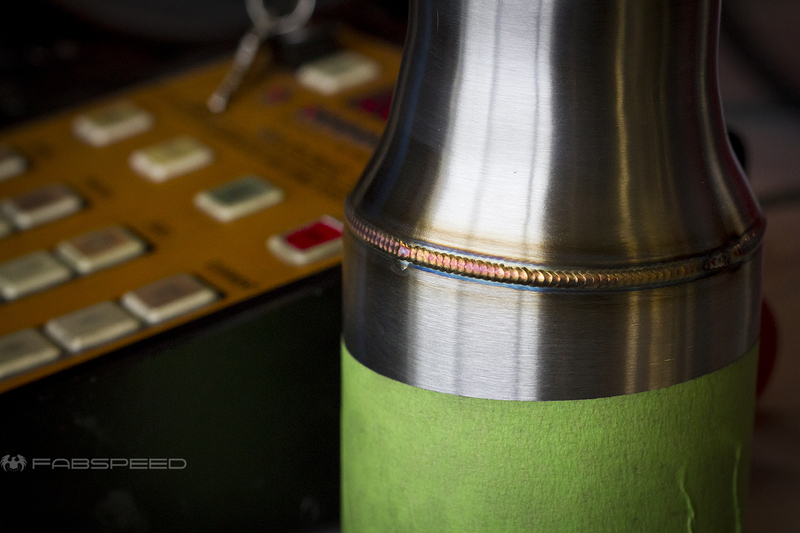 The hardware tabs are fully TIG-welded in place to complete the final assembly. With assembly complete, the tip interior is coated with high-temp matte black paint. We offer a full polished finish as well. The final result: a happy GT4 owner with a stylish set of tips - ready to attack the track. 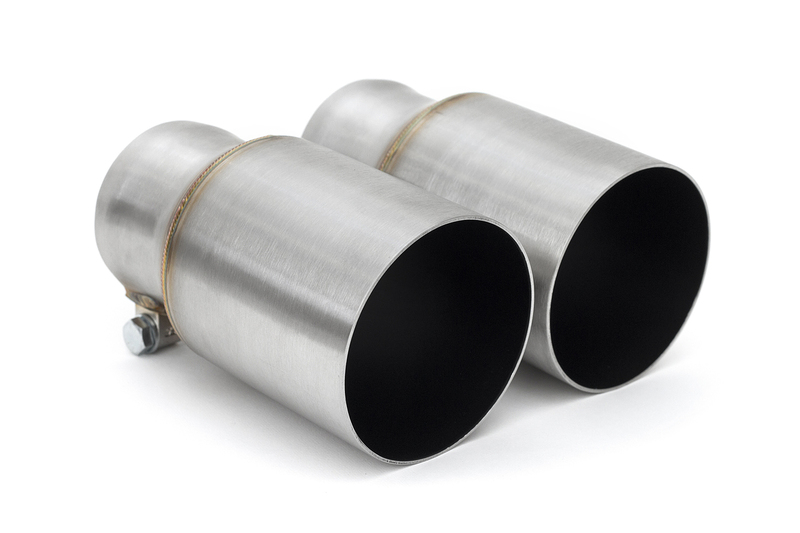 Fabspeed's Single-Wall Stainless Steel tips are currently a tip offering on select Porsche (GT4) and BMW ( F8X M3/M4) exhausts - with more offerings to come.